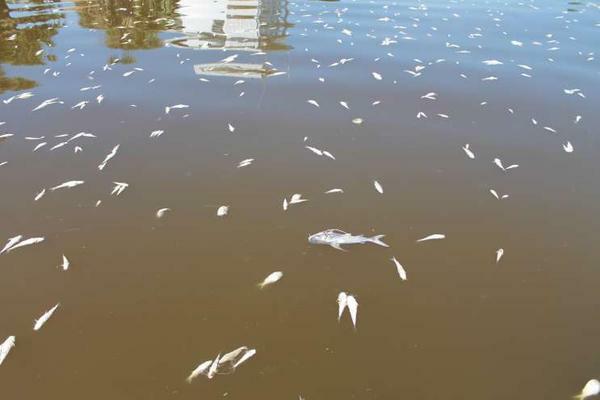 Red tide can kill hundreds or thousands of fish, like these a couple of years ago. It appears that a noxious red tide algal bloom has reached one of Florida's main metropolitan areas. The Tampa Bay Times reported Sunday that hundreds of thousands of dead fish have been found on and near roughly 20 miles of beaches located in Pinellas County on the Gulf Coast. Pinellas County is in the Tampa Bay area. 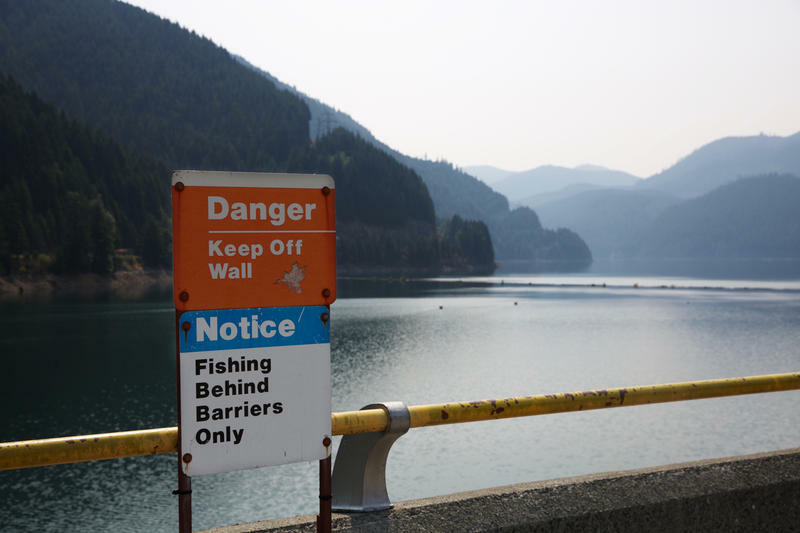 County and city crews cleaned up fish that washed up on the shore. A Pinellas County environmental official told the newspaper that she expects the clean-up to run through the weekend and into next week. Red tide is a natural occurrence that happens due to the presence of nutrients in salt water and an organism called a dinoflagellate. This bloom started in November and has been lingering in southwest Florida for weeks. 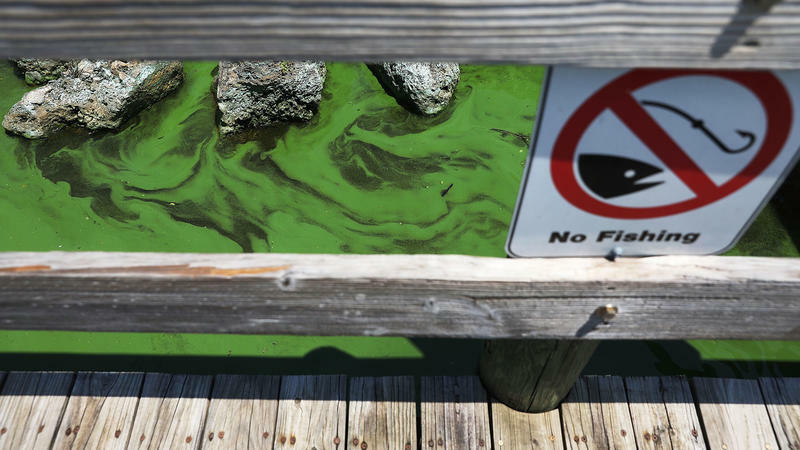 Toxic blue-green algae blooms have officially come to Fort Lauderdale. 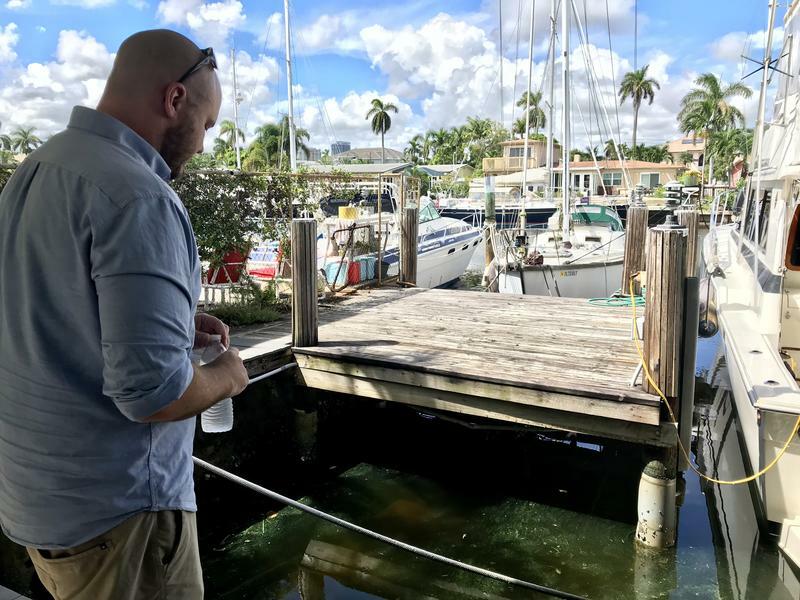 The green, foul-smelling goop has been sighted in Intracoastal canals, near Annie Beck Park, and the Las Olas Isles neighborhood. Adam Weinstein lives on the 15th street canal, and noticed the green floating patches near the dock behind his house two weeks ago.